He is currently working with the FAI as a performance coach to the Irish Amputee Football team and is a tutor with Cycling Ireland for their coaches. At Roscommon GAA he has implemented his High Performance Team Development Programme for their coaches and teams. Alan is sought after regularly to work with companies of all sizes. His work with Microsoft includes his “Manage Energy Not Time” programme and his “High Performance Team Development for Business” programme. His work with SME’s includes mentoring managers and business owners to consistently achieve excellence and still live a balanced life. 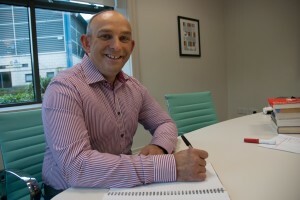 Alan has worked in the fitness and health industry for over 25 years. In 1998 he created a software company based in Boston, USA that focussed on bringing wellness to the Corporate Sector through meditation, relaxation and other exercises used with top performers, to improve concentration and decision-making. At the same time he was also and operator of his own gym called N-Joy Fitness. He is always looking to improve his knowledge. At the age of 32 he sold his gym, which he had for 4 years and decided to go back to college and in 2007 he graduated from Dublin City University, with a degree in Sport Science and Health. In 2006, he worked at the Sunshine Coast University, Queensland, where he helped prepare Australian national athletes and teams from the Australian Institute of Sport for international competition. This experience molded his philosophy when working in sport and business, to create teams around teams with a strong collaboration within the team leaders. Having spent a lot of his youth involved in Athletics his passion now is cycling. Ultra cycling to be precise. Based on his philosophy of creating teams around teams, in 2008, he wanted to prove that with the right team built around a group of leisure cyclists he could get four cyclists to finish what is considered to be the toughest race in the World – The Race Across America. 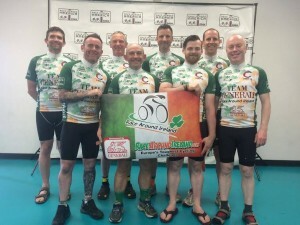 The result was astonishing, not only did they complete it, but they took 30 hours off the previous Irish record finishing second in the event. In 2011 he took it one step further by entering a solo rider into the Race Across America where the rider became the first Irish rider ever to finish this event. The goal was to be able to manage energy for the rider to stay on his bike for up to 22 hours per day for 11 days. In June 2015, Alan travelled again to the Race Across America as part of an 8 person team, where they not only took part in this grueling race but they made history, becoming the first team in the 34 year history of the event to do so completely self supported! If all the above was not enough to keep him busy, in 2009 he brought the idea of The Race Across America to Ireland. He set up the now Award Winning event: The Race Around Ireland. Next year is the 9th year of this Event, it has been called one the Toughest Cycling Event in the World. Documentaries have been made about it and books have been written about it. To read a little bit more about this world class event read here. His work has been featured on five different documentaries and he is frequently featured on National radio and Television stations as well as National papers and magazines.